I’ve built my career as a digital anthropologist, studying and often anticipating the developments in Silicon Valley for more than 20 years...so if anyone should have understood the risks of becoming overwhelmed by and addicted to devices, it’s me. 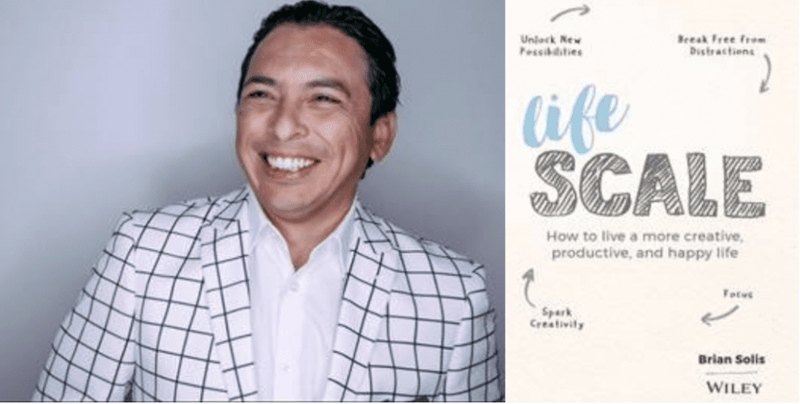 Joining us today is Brian Solis, an 8x award winning / bestselling author, world renowned keynote speaker and Silicon Valley insider who has a new book out on our society’s addiction to technology. One key message I’d like to share is that we’re all susceptible to productivity-crushing digital distraction. I say that because I’ve built my career as a digital anthropologist, studying and often anticipating the developments in Silicon Valley for more than 20 years. So if anyone should have understood the risks of becoming overwhelmed by and addicted to devices, it’s me. And, yet, a few years ago, there I was, unable to achieve the same levels of focus and productivity I’d reached before. At an age when I should have been at the height of my powers, I was struggling. It took me awhile to become aware of the problem. I was working on a proposal for a new book, a sequel to X: The Experience When Business Meets Design, and I just wasn’t getting anywhere. After a whole lot of soul searching and research, I identified and accepted my problem and went to work learning more about it and looking for solutions. And so, long story short, I shelved the original project and dove into a new one, which become Lifescale: How To Live A More Creative, Productive, And Happy Life, which I think provides deeper solutions to society’s addiction to devices and distraction than the materials I was reading as I wrote it. 1. Digital Distraction can happen to anyone, I’m proof. 2. There are a number of great hacks for productivity, but there are no easy answers to fixing this problem. It’s a journey and its one I’m definitely still exploring. 3. A digital or smartphone “cleanse” or “detox” is great, but it’s not a feasible long-term solution for most of us. We have to find balance. What role have mindfulness & meditation played in your Journey? Good question. You could call me a reluctant, but now wholehearted, fan of meditation. I come from a tech background and, while I’m not as suspicious as some of my peers, I’d always been wary of meditation. My skepticism wasn’t based on hard evidence, but on things like celebrity endorsements that just turned me off. However, when I started doing my research and exploring options to work through my issues with distraction, I came across the work of a number of very wise people who shared the benefits of meditation in ways that made sense to me. One of the best was an article called “The Real Meaning of Meditation,” by Swami Rama, which focused on the importance of meditation in learning about who we are outside and inside. My initial efforts at meditation were frustrating. But, as I worked at it, I got better and now it’s part of my daily routine. Meditation has helped me learn to pay attention (a major part of Lifescaling), turn inward and learn to be still. So much of our society just can’t be still. We have to be digitally connected at all times. All of these lessons are incorporated into the book. What is your favorite Life Lesson / Life Journey Quote? What are some of the lessons you learned while writing this book that all of us can benefit from? As a culture we’re addicted to the practice of multitasking. Somewhere along the line we began telling ourselves we could achieve more by trying to do two, three or four things at once. We can’t. We just can’t. What we’re really doing is superficially hopping from task to task. We might get easy things done, but we’re not accomplishing anything substantial. Instead, on average we’re reducing our productivity by about 40%. We’re also becoming more prone to making mistakes, often dumb ones. And here’s another important lesson: every day our brains start out with a finite amount of “juice,” for lack of a better term. And then our brains actually physically shrink throughout the day. So find ways to block out distractions in the morning and do the work that requires more thought and deep focus. Then block out times later in the day to handle necessary, but less challenging, tasks. Fight the urge to multitask, do one thing at a time and take on the toughest jobs – mentally, at least – first. It sounds like Lifescale has a lot of great tips to help us regain our concentration and perspective around our devices? It definitely does. But I really want to emphasize that this book and this process of lifescaling is about a lot more than just getting more work done. It’s about exploring what’s most important to us, rediscovering our core values or even discovering them for the first time. We’re on a journey to move beyond looking good to strangers on Facebook, to living more genuine, productive and joyful lives, pursuing goals that really matter to us. Yes, for most of us work and careers are a big part of that. But so are family and friends, and by that I mean real friends, not strangers who retweet us. And so is bringing back the creativity we all had as children. So much of our lives are about pushing that aside and I’m a big believer that making time for creative endeavors brings joy back to every aspect of our lives. I’ll add that an unabashed fan of Walt Disney, his work and the way he went about pursuing his goals. During the Great Depression, when everyone was telling him ‘no,’ he found ways to pursue his vision and achieve ambitious creative dreams. He’s been an inspiration to me and I could talk about him for days. He was both a dreamer and a doer, something I think we can all aspire to. Congratulations on the launch of Lifescale! Please tell us a little more and include a link for our readers if possible! It debuted at SXSW 2019. It’s my 8th book and the one I’m most proud of because it addresses issues faced by almost everyone. I believe so strongly in its message and the work of regaining productivity, focus and joy in our lives that I’m working to develop additional material – a chapter-by-chapter curriculum with videos, exercises and supplemental reading—to help teachers and coaches share this work on a wider scale. Once it’s launched, I’d like to come back and talk about it in greater detail. More information is on the book website – www.lifescaling.me.